According to Wikipedia, "A microsite is an individual web page or a small cluster of pages which are meant to function as a discrete entity within an existing website"
We have taken it quite a bit further with our version - enabling you to create an interactive set of pages, search optimized, socially connected and in most cases, more powerful than your existing brand website. Ever wondered if there was a way to combine your Company story, products & services, testimonials, career opportunities, blog and social media into one simple, easy to set up, search optimized platform. A platform that reports connections, blog readers, generates leads, testimonials - all in one place? About Us - your story. Followers - Facebook, LinkedIn, Twitter, etc. And reporting - followers, viewers, leads, candidates. 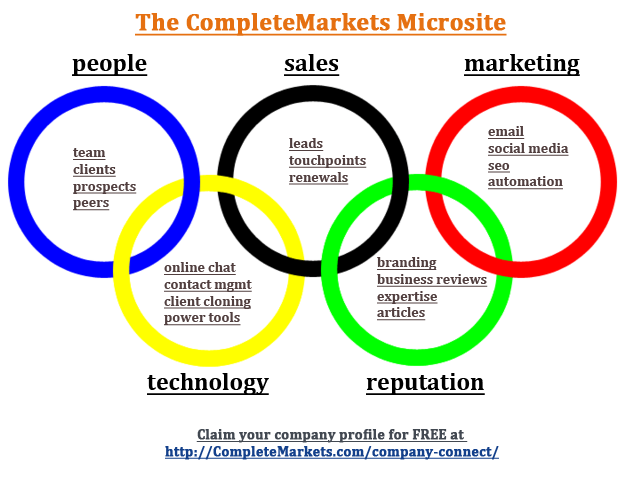 Create a FREE Microsite for your Company!